A player’s archive is typically a facedown game area that is used for hand management. Why you may ask. From a design perspective, the archive serves two purposes. 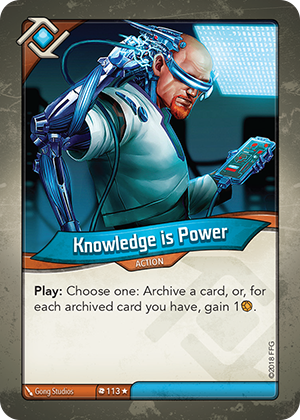 First, you can archive away less useful or conditional cards and make it more likely to get the cards you really need after shuffling back in your deck. Second, you can choose to return the archive to your hand allowing you to plan a monster turn where you store pieces of a combo in the archive until you drew the other pieces. 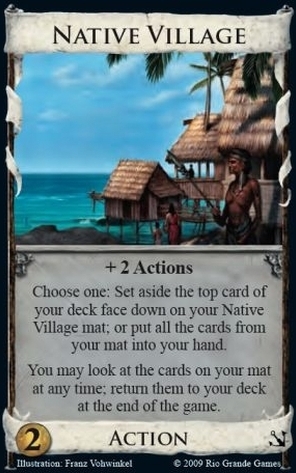 It basically ensures a bigger and a specific hand on a future turn. 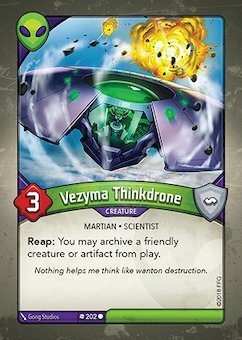 This mechanic is really well suited to mitigate some of the randomnesses in unique deck games (Keyforge). Archiving in card games is a mechanic that allows placing cards on a temporary stack to access them again at a later time.